While we’re not quite ready to break out our Christmas decorations and sing carols, we’re definitely looking forward to 2013 Christmas at Biltmore beginning November 2, because, well, they’ve known how to do a spectacular Christmas celebration ever since George Washington Vanderbilt opened his Asheville home to family and friends on Christmas Eve of 1895. 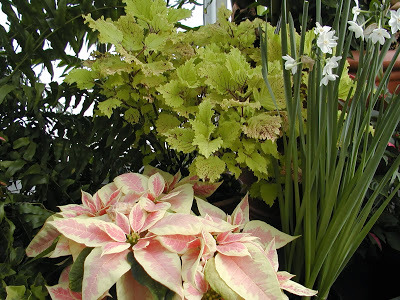 Each year, Biltmore Estate picks a special theme for their Christmas celebration and this year’s theme is The Nature of Christmas. During the daytime, you can explore Biltmore House, the Gardens and Conservatory, and the Winery and Antler Hill Village decked out in miles of garland, dozens of differently-decorated trees and thousands of amazing ornaments and twinkling lights. 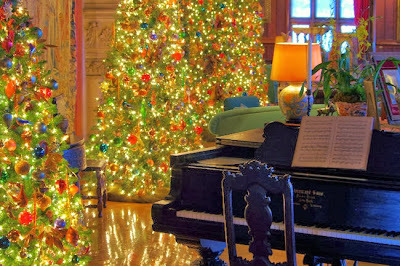 Christmas at Biltmore also includes live instrumental music and singers in the house and around the Estate, special menus at Biltmore’s restaurants, and a Christmas at Biltmore specialty wine that you can purchase on the Estate. The Banquet Hall Christmas tree-raising ceremony, a Biltmore tradition, will be held on Friday, November 1, 2013, and Christmas at Biltmore runs from November 2, 2013 – January 12, 2014. As a guest of the Inn on Mill Creek Bed & Breakfast, you can purchase discounted daytime Biltmore tickets for just $49 per person with no extra fees. And your tickets are good for a free second day so you can visit Biltmore at a leisurely pace. 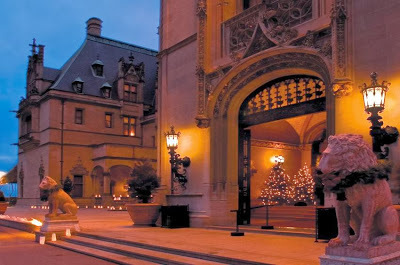 If you want to check out Biltmore House after the sun goes down and the fireplaces in the house are lit to create a warm, intimate glow to illuminate all the beautiful decorations, Biltmore offers Candlelight Christmas Evenings, a self-guided evening tour of Biltmore House. You can upgrade your daytime ticket purchased at the Inn on Mill Creek to add a Candlelight Christmas Evenings tour time for only $15 per person. If you are planning a stay with us at the Inn on Mill Creek B&B, please contact us at 828.668.1115 or info@innonmillcreek.com for Biltmore ticket information, and allow us to make all the arrangements for you. We can even help with making reservations for dinner at one of the Biltmore Estate restaurants on the evening of your Candlelight Christmas Evening tour. For your convenience, we’ll have your tickets and information all ready for you when you arrive to the Inn. Daytime tickets are always available and can be purchased after your arrival; please allow 48 hours advance notice for Candlelight Christmas Evenings upgrades. One final note: 2013 Candlelight Christmas Evening tours are not available on the following dates: November 26, November 28, December 24 or December 25. In addition, Candlelight Christmas Evening upgrades are nonrefundable. This entry was posted in Uncategorized and tagged Asheville, Biltmore, festivals and special events, Winter by Inn on Mill Creek. Bookmark the permalink.